Shakespeare’s Romeo and Juliet has inspired numerous operatic adaptation, including Gounod’s sumptuous French creation. In this radio broadcast from the 2017–18 season, soprano Ailyn Pérez and tenor Charles Castronovo shine as the star-crossed lovers. 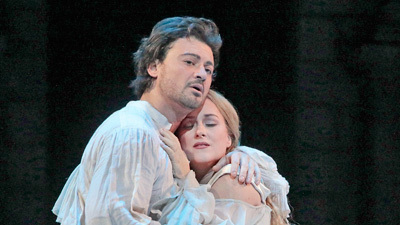 Plácido Domingo, who has conducted more than 150 Met presentations over the past three decades, leads a radiant performance, which also features mezzo-soprano Karine Deshayes as the page Stéphano, baritone Joshua Hopkins as Mercutio, and bass Kwangchul Youn as Frère Laurent.